John Frye in Stankonia Studios. About 80 songs into the latest Outkast album, engineer and studio manager John Frye woke up from an otherwise fitful sleep and fell into a mild panic. All of the music he'd helped lay down for what would turn out to be one of the most successful records of 2003 was being held in the band's Stankonia studio in downtown Atlanta. "That was an incredible amount of media to have in one facility," he says months later, from within the studio's comfortable A room. "And even though I had backed them up, I realised how important that was. I immediately came to the studio and made several other backups. I decided that I needed to keep a real good handle on this Outkast album and this media, or bad things would happen. So one backup ended up in a vault and one I kept close to my person outside the studio." The Speakerboxx/The Love Below project saw Antwan Patton (left) and Andre Benjamin working largely independently to produce two albums' worth of material.After all the delays associated with the Speakerboxxx/The Love Below project, Antwan 'Big Boi' Patton and Andre Benjamin's fifth proper studio album didn't need to add lost data to its healthy list of setbacks. And even though at the time of this writing their two-headed monster sits atop the American Billboard national album chart (a full 15 weeks after it first entered), Frye was far from the only person to have suffered during its birthing process. He relates a story about how, during a break in mastering with Bernie Grundman of Bernie Grundman Mastering, he stopped into visit Benjamin while he was still putting finishing touches to his half of the LP at Los Angeles' Larrabee Studios. "I stopped and got some food for him, and I pulled up to Larabee. It was a nice day and Dre was sitting on the steps, looking pretty exasperated. I stopped to talk to him and hung out for about an hour and a half, and I don't think he'd slept in four days. He had maybe four studios going. He had a mix occurring at Larrabee, one at Larrabee North, one at Larrabee West, and he was also scoring strings at Capitol. He just seemed completely drained. I felt pretty good that we were getting this all done on target, but the next thing I know he's getting me a studio to mix a few songs. So he just kept on adding studios to the whole mix. I know it was a tremendous amount of pressure for him. And I think we pushed mastering back another day. We pretty much went to mastering direct from the studio." John Frye, who was born in Framingham, Massachusetts, shares a love for music with his engineer brother Brian (who works regularly with Jermaine Dupri and has made records with Mariah Carey, Destiny's Child and Alicia Keys). The two eventually gravitated to the West Coast, where they slowly got drawn into both the playing and business sides of the industry. Growing up during the era of mega-production that was the '70s, and experimenting with his own ear over time, John became especially attentive to the mechanics of sound. And when his brother began to do live sound for San Francisco area bands like the Tubes, his curiosity soon made him aware of a art school in Atlanta that also offered a music industry curriculum. "I found that there was an art institute in Atlanta that had a music business program and had George Augsperger rooms, and moved on down around 1991. Then, three months in, I actually acquired an internship at a place called Soundscape, which interestingly enough was in this very same building." Soundscape Studios, at the time, was already a fixture in the Atlanta music scene, and had been host to many high-profile sessions for the likes of Elton John, the Black Crowes, Toni Braxton and REM. Frye became an assistant engineer at Soundscape and gave up on his formal education, because he was simply learning too much in-house. Soon after that, the studio changed hands and became known as Bosstown, the new home of then mega-pop figure Bobby Brown. Frye spent a lot of his time honing his skills in the analogue realm, getting familiar with Studer tape machines and SSL consoles, and picking up tips from the great engineering talent that was constantly being funnelled through Bosstown's doors. The next major phase in his development occurred when Jim Zumpano (engineer to LA Reid and Kenneth 'Babyface' Edmonds) asked Frye to consider taking a position as his assistant at Reid's LaCoco studios, which were located on Reid's property and run as a private facility. "I learned an incredible amount from him," says Frye of Reid. "All the important things that you really need to know to continue a successful career in music recording. It goes down all the way to sharp pencils, clean facility, attention to detail, proper recording techniques, aligning and labelling microphones... just a professional attitude all around. Because I was documenting all the gear, I started to really pay attention to some of their techniques. I probably got the basis of where I was going to take things from Jim Zumpano. 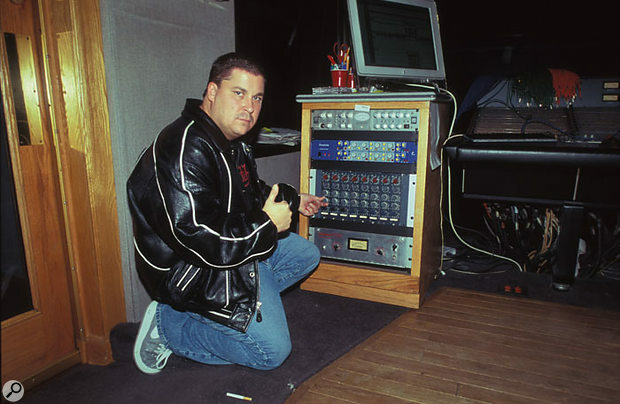 Also, LA and Babyface had some very high-profile engineers coming through, who to this day stay very busy and do great work: Jon Gass, Barney Perkins, Dave Way. I spent untold hours with them in the studio as they mixed the LaFace catalog and other things. I would just watch them and I would always be amazed to be in the room and have them start, get a little sidetracked and maybe watch some TV if there's a break. Maybe they'd even run out and come back, but there was always this amazing transition from where they first started working on the record until when it started to sound magical, like an incredible record. And I always thought: 'How do they achieve this?'" The control room at Stankonia, showing the studio's SSL G-series mixing desk. Although Frye's musical tastes had originally been more geared to rock and pop music than the urban material that was being cranked out at LaCoco, he quickly acquired a firm appreciation for what was possible in rap and hip-hop. "In the early '90s I was really loving how LA Reid and Babyface made records with stacking the backgrounds and all the harmonies. And I really learned a lot about production from them and how we would make sure that the notes were all good. We'd spend hours, using a lot of reels of tape to build those harmonies and to get the singers to capture what they wanted. There were a lot of subtleties in the mix that you might not notice, but they were really listening. And that was a great environment to be in. We worked like crazy, we never got holidays, but we were making hit records. It was a good thing." 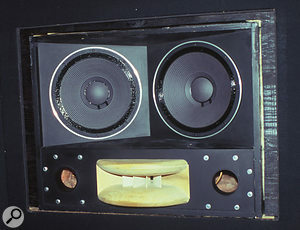 Stankonia's custom-designed George Augsperger monitoring system.With the era of bottom-heavy, sub-bass-saturated tracks just beginning, Frye benefitted from the fact that despite urban and rap music's continued ascendance in the marketplace, the genre still relied heavily on traditional production methodologies to produce records that sounded good on radio. "Around that time, things seemed to seem more balanced in a mix. Things weren't necessarily jumping out. There wasn't as much incredible attention to the low end and the 808s. Though they were starting to come in heavily, they were nowhere like they are today. I do remember that as I started to engineer more and more records, there was a recurring theme to make the low end fatter and to make it more aggressive as we started to do more rap. But actually once I started doing it, I began to understand more about trying to get that low end right so that it would come through well on the radio, video and on record and not be so overpowering that it would catch the radio station's limiters or ruin your mix. It was about trying to keep that within reason and still have all the feeling the artists needed." By the time he met Patton and Benjamin, Frye was already well schooled in the sounds that were starting to leap up the charts. And it was actually at a session at Bosstown that he first got to see the pair in action. Patton and Benjamin were adding some rapping to TLC's 'What About Your Friends' single, and soon after began working on their first album. 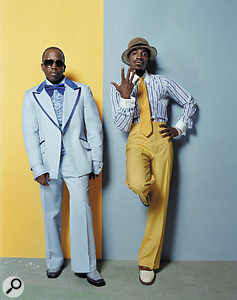 Years later, when Outkast were shopping for a studio of their own, Frye helped them seal the deal on the space they had already become familiar with. 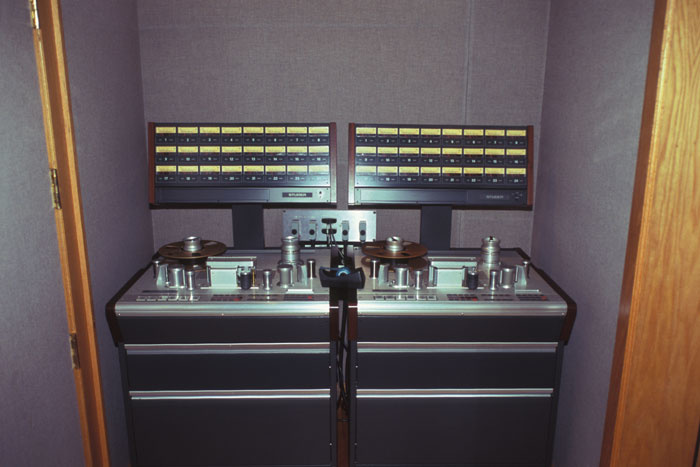 The studio's two Studer 827 multitrack reel-to-reel recorders are now used relatively rarely. "Allen Sides from Ocean Way and Gary Belz actually bought the facility, and were going to do something with it. When Outkast wanted a studio, I called Allen and asked him what he was going to do. He said 'Well, it's for sale.' And I said 'All right, we'll meet you there.' And they decided to buy the property. When we came in there wasn't much left gear-wise. There was the SSL G-series console, and I refurbished it. I put in all new bussing and new EQs. I changed everything here [in the A room]. I redid all the wiring, bought new Studer A827s and an A820 half-inch, and really got Outkast set up with all the gear they needed to have and wouldn't want for anything. I put in Augsperger monitors with TAD components and Bryston amplification, and that seemed to be a great system for us. It's not the most high-fidelity system but it's a good marriage for the power and the drive and volume that we put through it. The Augspergers are able to last through sessions, unlike other speakers! And they stay somewhat true for a fair amount of time between tunings and monitor voicing. 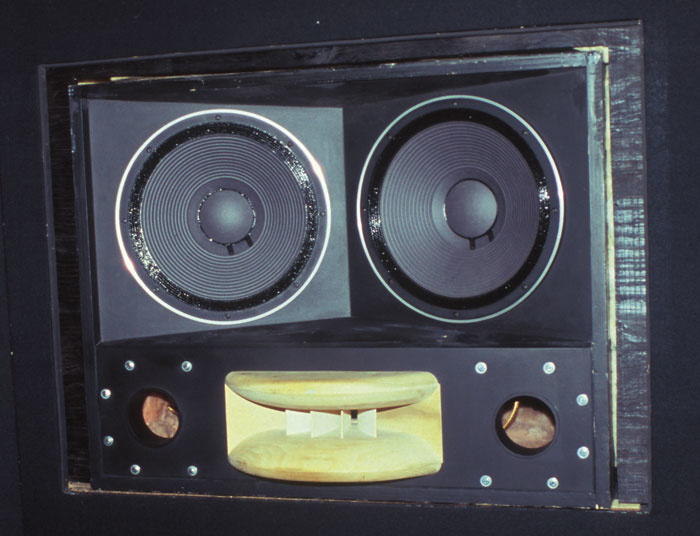 "We try to stay on a six-month schedule for the Augspergers, and change out the 15-inch woofers every time for fresh ones. And once a year, I change the high-frequency diaphragms. There's a gentleman named Steve 'Coco' Brandon, who does does the monitor voicing for Dr. Dre's rooms, Eminem, and Van Halen. And he did Studio LaCoco at LA Reid's house, so I've kept on that path with that system because we had so much success with it and because Outkast seem to love it. He's due here soon, actually. And he's a critical factor as well. I learned a lot from him." John Frye isn't overly concerned about Grammy awards and the like, but he's very anxious to ensure that his job doesn't get in the way of enjoying music. "I like to work on great records. I'm still a fan of music and as an engineer it's always been very difficult for me to marry those two worlds, because there are a lot of great songs that haven't been recorded or mixed well, but they're still great songs. I remember actually one of my teachers when we were critiquing music saying that he couldn't really enjoy music any more because he was a real technical engineer. He had gone through a lot of schooling and was now teaching it. He couldn't really be a fan any more because he would always fall back into that position where he would be listening and think 'What kind of snare is that? What mic did they use on that? Maybe it could be a little brighter.' He was just dissecting it. And that really scared me for a moment as I was getting into engineering, because I'm into this because of my love for music." 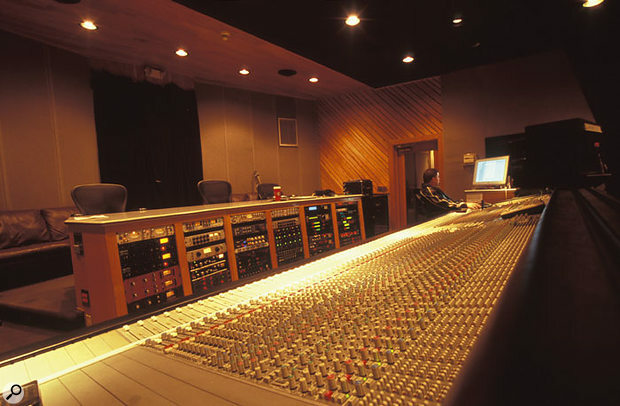 Stankonia, as the studio is now known, has four principal rooms: the A room, which houses the SSL 4000 G-plus console and Pro Tools rig, a smaller room that houses a Pro Tools-only setup for mixing, a vocal booth, and a large warehouse-like space that functions as a live room and storage/holding area for equipment that's used sporadically. The live room is so large, in fact, that huge pieces of stage gear from previous Outkast shows share the space. "We've done strings out there," explains Frye. "Horns we'll move between there and the one vocal booth, which is probably 15 foot by 15, depending on the number of musicians. We've done live piano out there, drums, and percussion. It's an all-purpose room, for the warehouse that it is." 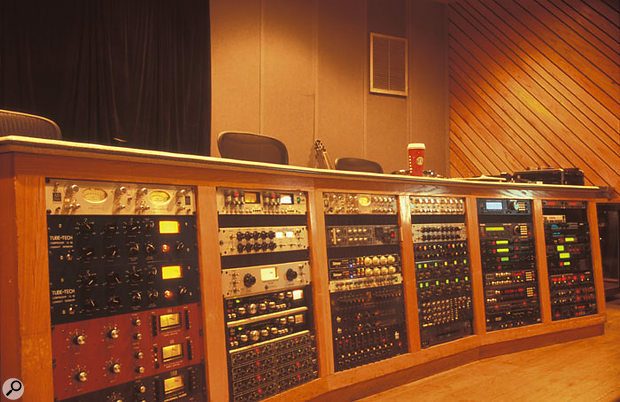 In the near future, Frye is planning on solidifying Stankonia as a mostly Pro Tools-centric facility, which may mean that over time, the galactic-sized SSL console might be widowed to some extent. "I've done a lot of mixes on the SSL," says Frye. "I've always loved them, and I love outboard gear, but I was thinking today that times change, and it's not so much because I wouldn't want to work on it. But honestly I think that in the last year, I've only had maybe a dozen multitracks come through. People are always sending CDs, and it's all Pro Tools. Everybody's got a system and people rarely bring in a multitrack. With Pro Tools it still gets dumped into the console, and I still use the SSL for a lot of mic pres, for running in a lot of musical equipment before it hits Pro Tools. That's when Pro Tools acts mostly as a tape machine. But most of the work, at least 95 percent of it, is Pro Tools." 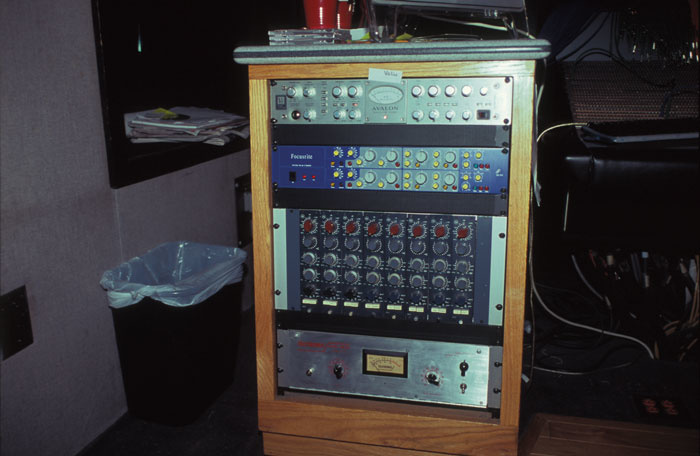 In fact Frye typically uses all 64 tracks his current Mac G3-based TDM system offers. As proof, Frye fires up the Pro Tools box, where he's currently working on a mix for American Idol Ruben Studdard's new album. The track, 'No Ruben', fills the large cinema display, and literally every track is consumed. "When I'm mixing I prefer to not blend. We end up doing a lot of vocals, a lot of stacks on a lot of songs. Because of track count, we've got a bridge or a hook or a co-hook sometimes on the same track and I might have to go in there, even within a phrase and alter some things. I may have to do some rides or do some panning, and I chose not to blend those unless I ultimately have to. Some of the harmonies will blend if they're just straight ahead, but chances are I'm going to leave them separate." The Avalon VT737SP mic preamp (top) is a current favourite.Much of the press that has surrounded the making of Speakerboxxx/The Love Below has focused on whether Atlanta's dynamic duo were still operating on the same wavelength. Outside concerns such as clothing companies, side projects with new and upcoming talent, and the desire to branch out into new mediums (particularly film work in the case of Benjamin) gave off the impression that perhaps Outkast was no longer a central concern of 'Big' and 'Dre'. But as they reorganised their working relationship and the future of their principal enterprise, Frye never felt the strain of their transformation. "I never had any problem working with either one of them. Yeah, they did start to work more and more separately as the years went on, but they always came together and critiqued each other's music and made suggestions. It was never a rub. If one was in with me, the other would just come in the next time. I think that at the stage of the career that they're in, they have so much going on it's difficult for them to stay as focused as they'd like to. And I think that there's a part of them that enjoys working solo. They just like to get in that zone and create, and make the records they're hearing in their heads." Record companies have, historically, never been too keen on the prospect of trying to market double albums, but the idea for separate solo projects was eventually spurred by the indecision that ran within the Outkast camp as to how to proceed with their career. Frye, for one, feels that the album's destiny was never truly cast in stone. 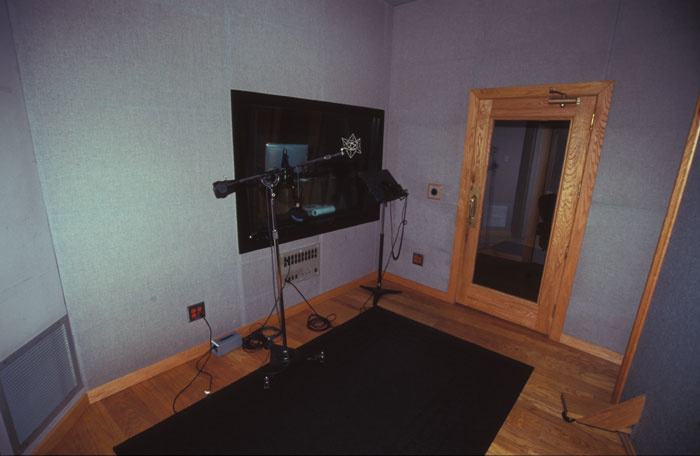 The large vocal booth at Stankonia. "The record itself took a lot of turns along the way. I think at the beginning it was 'We're starting the new Outkast record.' Dre came in and started to get going first, but it went through a lot of incarnations. It was going to be truly two separate releases as solo records. Then it was going to merge into a soundtrack, because they were working on movies as well. It went through a lot of flux until it became a double record with two separate sides, but it could have easily been one record with the songs intertwined." Whatever its final embodiment was to be, the pace of recording was swift. "There was a lot of music going on. When we first started to work on the record, we jumped right in, real fast. I think at the end of probably two months, each of them had, in some skeletal form, upwards of 35 songs. Now by the time we got to really figure out the album, there might have been 120 songs that were very far along. Some of them might not have had lead vocals, but they had overdubs — basses, guitar, congas, strings, background vocals, and so on." Dre, who often works up ideas on the small Nuendo-based system Frye helped establish for him at his home, has investigated many of the new software synths that eventually found a home in Outkast's current sound palette. It was Frye's job to balance the new programs that Benjamin was drawn to with the older tools that have long been the mainstays of their productions. "A lot of the time, the brain of the whole system will be the Akai MPC3000, and there will be a lot of sequencing that goes on within that. But there were a lot of interesting new software synths that I would use, whether it be Reason or the FM7, or Absynth. Spectrasonics also make some good products, and a lot of those things came into the new songs. Now certainly other drum machines, other keyboards, or other programs might come into play. Whether it be Nuendo on a laptop, or some other software synths, we will drag out anything at any given time and just go to it. When he comes into work, I try to have as much stuff set up as possible, so we're not just constantly just trying to set things up. I usually have speakers set up right near him, with his drum machine and all kinds of keyboards... whatever I can fit out here, because he's got an incredible amount of equipment. He collects stuff and buys stuff all the time." 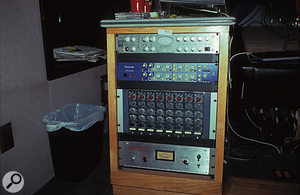 The main equipment rack at Stankonia, including (top left) the Avalon AD2044 compressor used for a lot of the vocals on Speakerboxx/The Love Below. When they felt the need to reach towards some of their traditional outboard, Frye had plenty of options available. "We used the Avalon VT737 SP mic pres, and the AD2055 EQ and AD2044 compressor for a lot of vocal work. Love them. Pretty clean and pretty true. The Neumann M149 mics give you a nice clean signal. We can destroy it later with effects or whatever. We got a nice rack of Neve 1073 preamps that we used quite a bit on the record. We put a lot of things through them. They're really good-sounding all round for drums, horns and vocals as well." "About two years ago, I was strictly analogue," says John Frye. "Then I started to get into Pro Tools and I decided that for what we were doing, it was quicker. When we first got it, we had it in one small room during the making of Stankonia. But it had very little play on the album. 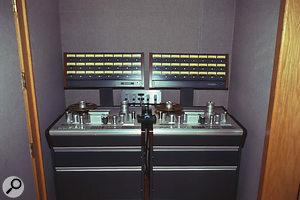 We had done a few interludes in there, but when we first got it, it was being used for show tapes and edits. That being said, I wasn't paying much attention to it even though I knew it was coming like a ton of bricks. Often I'd outsource the Pro Tools engineering to the experts, but I saw that there were a lot of great editing functions and that I could get more tracks, which was a concern as well." 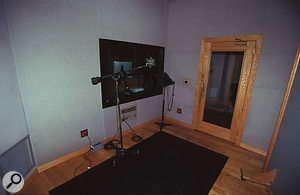 Frye's initial personal transition towards the TDM systems occurred when TLC's Lisa 'Left Eye' Lopes was working on her Supernova solo project and called him in to do some mixes. "She actually had both rooms booked doing vocals, production in the small room and me in here mixing. I grabbed the manual, and I pulled up the files and because I knew what I was looking for, whether it was a solo isolate or how to automate something, I kind of knew where to go. If I had a bump in the road and they weren't in the room with me, I'd thumb through the book," he says laughing. "So I was getting paid to mix the record and also learn Pro Tools at the same time. That was probably two years ago or so, and I haven't mixed a record on an analogue console since. From that time on it became the recording and mixing medium for me and I chose to run with it... purchasing all the plug-ins I could, researching those and learning a lot along the way." However, Frye firmly believes that his grounding in older technology was a key factor in helping him ramp up so quickly when it came to converting to Pro Tools. "I think because of the SSL and how it handles its automation and signal flow, that that was a benefit for me because there was a lot more signal flow that you had to have in mind from point A to point B with Pro Tools. I can go between both worlds fairly quickly and simply. And the guys that are somewhat new to the game, who can arm the Pro Tools rig and work it well, they often have difficulty with routing or signal flow. Pro Tools has kind of made it easy for a lot of folks and that's probably my biggest concern. The costs are way down now and you're not dealing with a 180-dollar two-inch reel for 16 minutes of recording time for 22 tracks. But there's still a need for people who are trained with mics, levels, mic placement, EQ and good monitoring. Everybody has the same system now to some degree, but I still have things coming in with buzzing on tracks, ground issues or things that are recorded too hot. That's because everybody can arm a track and have at it." Now that the finished album has received Grammy nominations for Album Of The Year, Record Of The Year, Best Rap Album and Producer Of The Year (Non-classical), not to mention nearly three million sales by mid-October last year, Frye is now prepared to look toward what lies ahead for the Stankonia facility and how he'll keep apace with its growing needs. "I just purchased the new Pro Tools HD192 system, and I'm going to start implementing that. Right now, I'm currently looking at bringing the facility up to all G5s. I would like to get a few more microphones as well, maybe a few older ones. At the time when we came in, I chose to get all new stuff because I didn't have the luxury or the money that I wanted to spend in researching and getting some old mics. You never know who's had them, who's refurbished them, or who's dropped them. Just because it's a 40-year-old mic doesn't mean it's going to be A1. So I think with some research and some time, you can find the right stuff. I think that if you need something particular, it's a lot easier to rent that." And although the SSL may not see quite the amount of action it once saw, that doesn't mean it's not also in line for some maintenance. "The board has been really great. Probably about a year ago we refurbished, and put in new buttons, and changed a lot of the caps. Since it has new bussing and new large VCA faders, the only thing that I have left that I want to do really is to replace all the small faders. They're just getting a little scratchy. I've cleaned them before, but they still have little points where they just drop out. They're probably the oldest part of the console." How Stankonia's proprietors themselves will benefit from having produced yet another highly successful album, however, is still undetermined. While there's been no word yet on whether there will eventually be a tour to support Speakerboxxx/The Love Below, the album continues to sell well. And should they wind up taking a cue from another well-known band of days gone by, they may not have to. "I don't think they ever felt particularly pressured by the industry or the state of the industry or the current hits out there," Frye says, mulling over Outkast's direction from his particular vantage point. "I think the only pressure they ever really had was their own self-pressure of making the best records they can make. And I think that's where it should be at, because they've always been trendsetters and not followers. I think that's why they're so successful. They break a lot of ground. And to see the album embraced as it was was a good thing. They're similar to the Beatles. They do what they do. They break a lot of rules and there are not a lot of groups out there that would be allowed to make these records and have them presented to the masses like they do. I know that there's always a lot of concern about how is the public going to receive this. And that's gone back for years. For several albums, even at the beginning of Stankonia, I remember Dre sitting in here saying 'Where am I going to take it? How are the people going to receive the new music?' Because everybody wants to be loved."